We promise to take care of all aspects of milk transport, to make your shipments travel safe, fast and on time. Lone Star Milk Transport for your milk transportation needs? We provide transportation services that are safe, affordable, and convenient while delivering quality milk on time. From pick up to delivery, our drivers take care of the loading, hauling and droping at final Plant. Safety of your Milk is one of our top priorities. 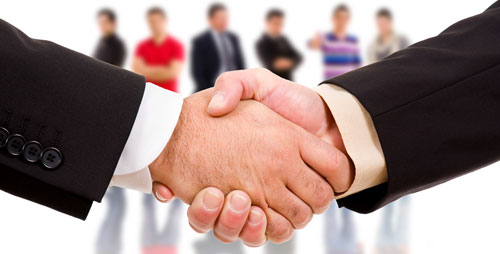 Every load is handled with most care by our trained and high skilled personnel. Trucking has working contact and email subscription form included. We used classes from WordPress plugin Contact form 7, so if you decide to purchase WordPress version, you'll have your forms working. Locations page includes google map with multiple locations, using newest Google API. You can change your locations quick, by replacing latitude and longitude in js code. 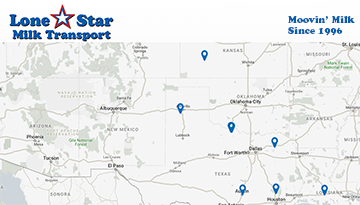 Lone Star Milk Transport delivers in over 20 states with multiple drop yards to serve our customers. We are hiring drivers and have multiple open positions. See what we have to offer by applying today! We will be adding 20 New Freightliner trucks to our fleet!